i think i need this!, originally uploaded by stephiblu. cassette to cd or mp3! all my old mix tapes and on-air dj recordings can live again! Archive your old cassettes to MP3 or CD! Converter is so simple for the PC world. earth_machine, originally uploaded by stephiblu. we got this composter today and i am gonna get it started with some fallen leaves and yard stuff, and add some food waste–veggie peels, fruit peels, egg shells, recycled paper products + more! today i got an earth machine! no i am not going to make a planet, i am going to start composting! 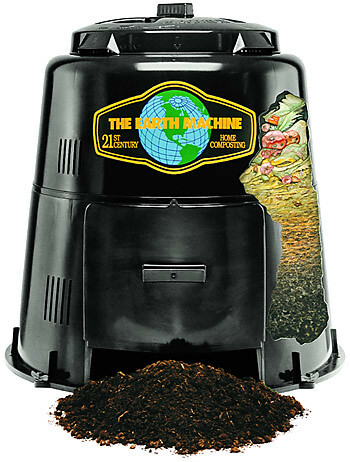 major hints for the composter are: keep it aeratedby mixing it around often, vary what you put in the bin-veggies, veggie peels, fruit peels, leaves, grass clippings, plant trimmings, paper products, egg shells, keep all the bits small–chop up veg, etc. also no animal products! no meat or dairy. your composter is a vegan. more on how to use the earth machine . i also found out that in montclair the yard waste and bags of leaves and clippings that we put at the curb are composted as well! so they go back to replenishing the earth rather then ending up in a landfill mixed with non-compostable items. now isnt that nice? Crochet Meeting #2, originally uploaded by doris. this is one thing i have been up to. crocheting in a collaboration with doris, and amie, mary, chica, karen, and joanna. for doris’ thesis. its october 1st and autumn is in full swing. i have not yet gone pumpkin or apple picking but i hope to very soon. if you already have or you are about to–check out these free stencils (they even work on pumpkins that you bought from the grocery store or whatevs). my porch in the coming weeks. i will post of photo–of course.